It seems inevitable that one day we'll have biped machines roaming either this or other worlds. We're just so captivated by the concept of making things walk. If the recent DARPA event is any indication we're still quite a ways off, but we still have our collective imagination. 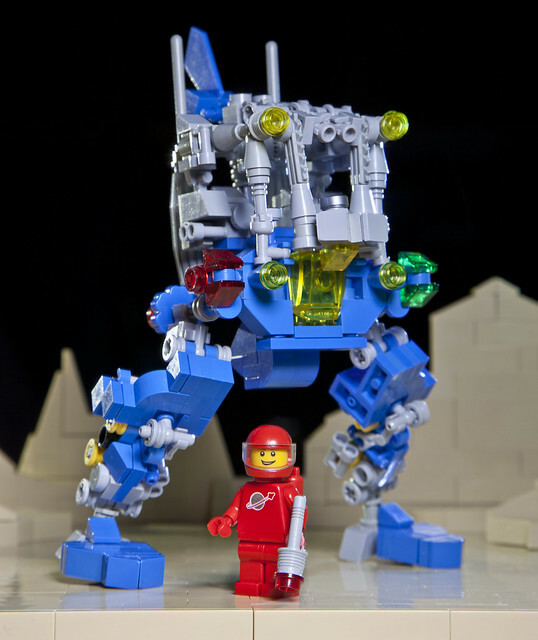 Like this awesome neo classic space walker by newcomer damoncorso, the future looks bright and stompy.